If you are looking for a bargain holiday then check out this selection of holiday cottages and apartments available for £250 per week or less* in England, Scotland, Wales and Ireland. What’s more, a cheap holiday cottage price certainly doesn’t mean you are cutting back on the quality as you will find self catering accommodation with features such as hot tubs, swimming pools, open fires and large gardens. Where can I stay for a cheap holiday? We are pleased to say that you can stay at excellent self catering accommodation across England, Scotland, Wales and Ireland for £250 per week or less*. So that could be a glorious week in a cheap holiday cottage in Galway Bay in Ireland, St Clears in Carmarthenshire, Ayr in Scotland or Dorchester in England. Looking at a different budget? If your budget is less than £250 per week then take a look at selected cottages and apartments that can be £200 per week or less*. If you would like to increase your budget or focus on specific areas of the UK and Ireland then check out our holiday cottage search. 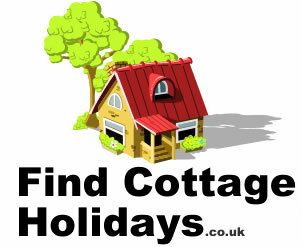 You can also search for holiday cottages and apartments by the facilities they have including: pet friendly, wheelchair access, hot tub, open fire and a garden. Alternatively search by what is close by including fishing, golf and tennis. Whatever you are looking for, with over 20,000 self catering holiday homes listed we are sure you will find something perfect for you.